Let's do it to it ! Post one a day if you are able. Here's my first one. I have a bunch that I need to scan and post. 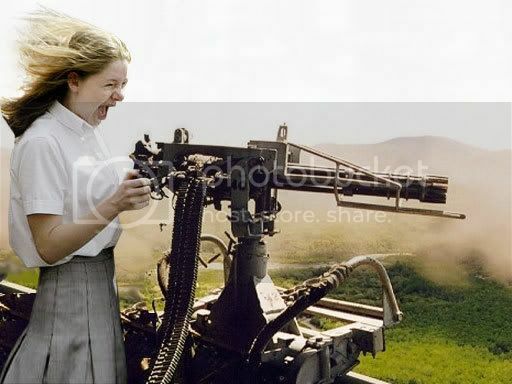 My Daughter W/ 37mm flare launcher. is she a good shot? Only with a bow and arrow. that's pretty cool :) are you gonna teach her to shoot? Oh, she can shoot alright.. She has her own dedicated AK, but she's not what I consider a "good" shot ,yet. 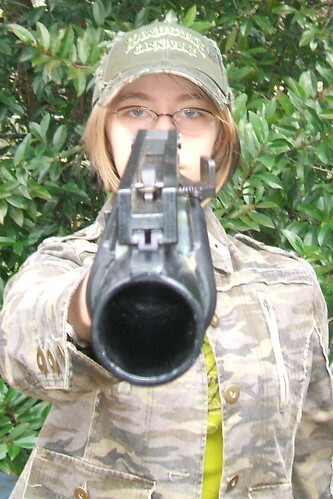 19 D 20 wrote: Oh, she can shoot alright.. She has her own dedicated AK, but she's not what I consider a "good" shot ,yet. and Mila because she is hotter than the pistols she carries. the look on her face is precious. Where did that come from? I don't even know. It was an "Ooo!" "right click save". I have no idea of context or anything, but it is certainly a different take on the genre.